Gov. Rick Scott visited an Escambia County technology company Tuesday that plans to bring about 120 new jobs to the area. Scott talked about his plans to create more jobs for Florida at Global Business Solutions, an internet and technology training company on Michagan Avenue. “In order for Florida to remain a global hub for business, we have to make sure advanced industries are able to thrive and continue to create jobs and diversify our economy. That means developing a well-educated workforce, eliminating roadblocks for job creators and investing in our research institutions. Florida has come a long way, but we have a long way to go – and focusing on jobs for the next generation will ensure that we continue to create long-lasting, high-wage, more resilient careers,” Scott said. The stop was part of Scott’s “Jobs for the Next Generation” tour, with Scott highlighting new proposals to permanently end sales tax on manufacturing equipment and reward the state’s best STEM (science, technology, engineering and mathematics) teachers with summer residencies at private sector companies. Pictured: Gov. Rick Scott speaks Tuesday afternoon at Global Business Solutions in Escambia County. Courtesy photo for NorthEscambia.com, click to enlarge. 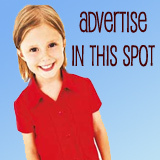 Read your article on closing Cantonment Pharmacy. There Rick Scott is credited for closing Johnny Readings business and putting roughly 20 people out of work. I have known Randy Ramos at GBS for almost 20 years. GBS has been chugging along teaching software and internet courses all over the country. This is like Rick Scott crowing that he was the rooster that made the sun rise. Scott has done quite a bit of good for Florida during his tenure as Governor. Is he perfect? No, of course not. He has done things that some of us don’t like, and has done things that some of us have. Overall, though, Florida is in a better place than it was under Charlie Crist. If Crist were Governor now, and Scott were running against him, others would be accusing him (Crist) of the same things they are accusing Scott of. It’s the way the game of politics is played. In the end, I’m going to vote for the one who can better help Florida and has already proven that he can. Because of his efforts, I have paid less in taxes and in renewal fees than under the previous Governor’s tenure. Scott will get my vote as the better, proven candidate. I’m hoping Charlie can win over Rick Scott. This just seems like a photo op than anything else to me. And I’m sure he’s got the votes here in NW Florida. Gov. 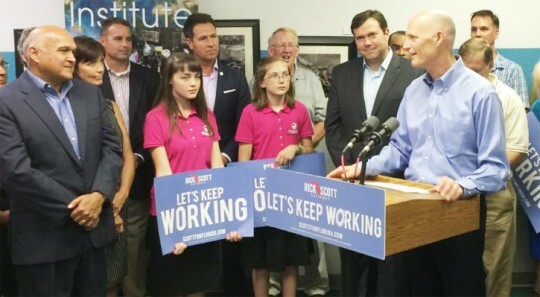 Scott is trying to make a difference – unlike Charlie Crist with his past and current record. All FL residents need to do their homework on Charlie Crist who is trying to prove how he can manipulate FL. Crist left the Rep party in 2011 after he lost to Rubio and turned Independent – then decided to change to Dem in 2012. He stated ” proud and honored to join the Dem party in the times of President Obama”. — From the twitter account of Charlie Crist. A vote for Crist is just another way of keep Obama around another 4 years. What few new jobs that have been created in the past few years is due to a slightly improved economy… Rick Scott doesn’t deserve any credit for any new jobs created. He is a panderer, looking to get re-elected that’s all.. Not on my vote! I am familar with GBS. They are not all that new as they have been around for a few years. The expansion and jobs are new, and that’s a good thing regardless of who takes credit for it. Scott still has my vote over changeable Charlie! I bet you’d never say a word if Charlie Crist did the same! I just love the way Gov. Scott runs over and takes credit for new jobs every time a new company is expanding.